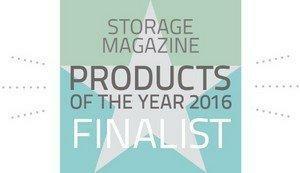 RESTON, VA--(Marketwired - Jan 17, 2017) - Cloudistics, an on-premises cloud computing company, announced today that its flagship product, Ignite, has been named a finalist in the 15th annual Storage Magazine/SearchStorage.com Product of the Year awards and was named one of "10 Coolest Hyper-Converged Products of 2016" by CRN. Cloudistics Ignite, the first product to deliver on the promise of an on-premises cloud with unlimited scale, instantaneous provisioning, and pay-as-you-go economics, is a finalist in Storage Magazine's server-based storage products category. An on-premises cloud platform, Cloudistics Ignite was recognized for combining storage, network, compute, open source KVM virtualization, management and the cloud. Additionally, Storage Magazine cited Ignite's ability to be delivered as nodal appliances that scale-up, scale-out and run on industry-standard hardware. To be considered a finalist in the category, the software must pool and centrally manage storage capacity across servers. The list of finalists in the server-based category, one of the more competitive category in the awards, are available here. Additionally, CRN selected Ignite because "Cloudistics is the latest to break into the so-called super-converged space with a scalable, modular offering that includes network, storage, compute, virtualization and management in a single platform. The benefit, Cloudistics said, is TCO that's half that of traditional hyper-convergence offerings because the Cloudistics offering includes network virtualization and the ability to scale compute, storage and network independent of each other. The Cloudistics platform is plug-and-play and includes all the hardware and software customers need." Last month, Business Insider also recognized Cloudistics as one of "38 enterprise startups that will boom in 2017, according to VC investors." Business Insider quoted Bain Capital Venture's Ben Nye as saying, "CIOs should be able to run their datacenters more cost-effectively than public cloud providers, but they are hobbled by separate server, network, and storage silos. The Cloudistics team, with its extensive large-scale computing expertise, has enabled just this. The solution scales to thousands of nodes to give enterprises the same benefits of scale, speed of provisioning, and pay-as-you-go economics that AWS and Azure provide." All three magazines identified Cloudistics in December and January. "The cloud and server segments are extremely competitive, with a number of large, well-known companies who have been operating in the space for several years. That makes being recognized by Storage Magazine, CRN and Business Insider all the more significant. This recognition among more established companies provides tremendous credibility for Cloudistics Ignite, showing growing recognition for our approach and technology," said Najaf Husain, CEO and Founder of Cloudistics.